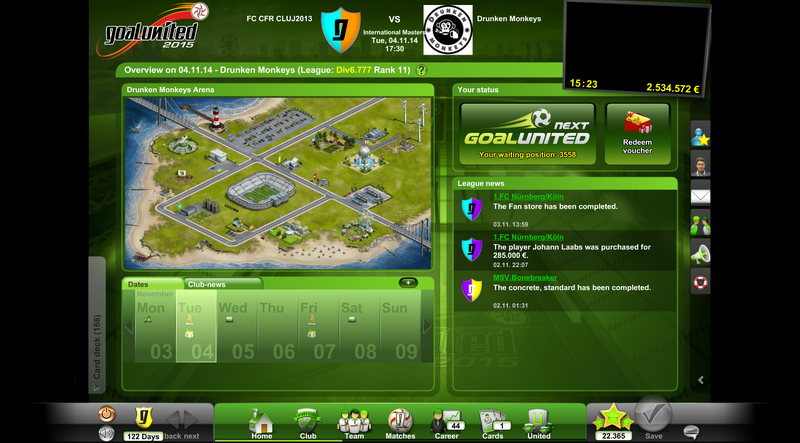 Welcome to Goal United and challenge your friends or colleagues in your own soccer events! This worldwide multiplayer will put your management skills to the test and let you compete with hundreds of international soccer managers. You can play friendly matches, cup or league matches for free every week. Build your own stadium complex to promote your players and increase your income. Create new strategies with trading cards and let your opponents shiver in their boots, or soccer shoes. Become a legend in Goald Uninted!